Ron DeSantis wants to lead Florida through hurricanes. He voted against helping Sandy victims. DeSantis gained stature among conservatives for his 2013 vote against a relief package for Hurricane Sandy victims. But then, as he was on the verge of declaring for Florida governor, he votes in support of a relief package that would help Florida residents. One of Rep. Ron DeSantis' first votes in Congress was also one of his most controversial. The day after he was sworn into office, Jan. 4, 2013, DeSantis voted against a $9.7 billion relief package for the New York and New Jersey victims of Hurricane Sandy. "This 'put it on the credit card mentality' is part of the reason we find ourselves nearly $17 trillion in debt," DeSantis said, explaining his vote. It was an eyebrow-raising vote for a Florida lawmaker representing coastal communities susceptible to hurricanes, but one that established DeSantis in Washington's most conservative circles. DeSantis cast quite a different vote last October. With Florida, Texas and Puerto Rico reeling from Hurricanes Harvey, Irma and Maria, Congress took up a $36.5 billion relief package. This time, DeSantis, on the verge of launching a campaign for governor, voted for it. Nationally, DeSantis and other gulf-state Republicans were tagged as hypocrites. At home, he faced accusations of political opportunism. 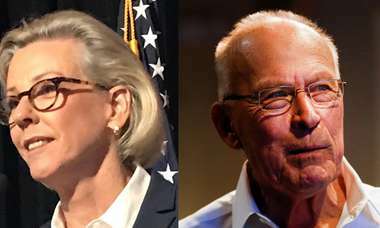 Now running to lead a state under constant threat of hurricanes, DeSantis' votes continue to be scrutinized. 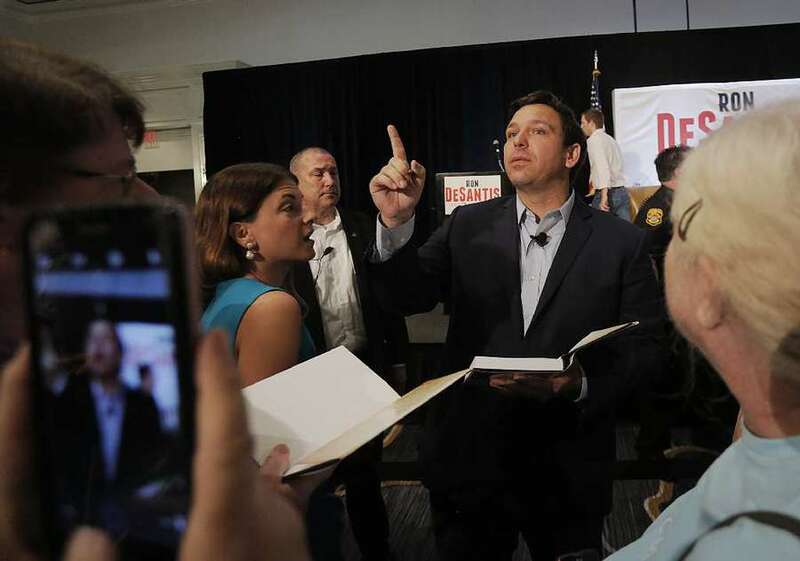 It was highlighted in an opposition research file on DeSantis earlier this year, and his Republican primary opponent Agriculture Commissioner Adam Putnam has criticized his disaster record on the campaign trail. "Florida families impacted by natural disasters have suffered enough and shouldn't have to worry about further destruction at the hands of Hurricane Ron," Putnam spokeswoman Meredith Beatrice said. DeSantis' Congressional office refuted any inconsistency in his record. The two disaster packages were different, spokeswoman Elizabeth Fusick said. "Congressman DeSantis has supported funding for (Federal Emergency Management Agency) and disaster relief and has voted in favor of emergency spending when immediate and necessary," Fusick said. The vote against the Sandy relief bill was a display of defiance by the conservative wing of the GOP after President Barack Obama was elected to a second term. Many of 67 who voted against it — including DeSantis — would later form the Freedom Caucus, a conservative bloc that has stymied budget deals, threatened a shut down over immigration and helped drive former House Speaker John Boehner to retirement. But after Hurricanes Harvey, Irma and Maria, many Republicans who voted against aid for New York and New Jersey had to explain themselves. In a Facebook post, DeSantis called the response an "all-hands-on-deck" situation that necessitated a "massive response." It was different than the disaster package for Sandy, which he said was loaded with projects that weren't emergency-related. "It was mostly a measure for long-term projects that should have been funded through the normal appropriations process," Fusick said. Fact-checkers have routinely flagged similar claims as misleading. Most of the money went toward a bailout of the National Flood Insurance Program so people who had their homes destroyed by Sandy could be paid, or to fix infrastructure, like train lines, damaged by the storm. Some of those rebuilding projects took several years. Meanwhile, conservative organizations were just as critical of the 2017 relief package for Harvey, Irma and Maria as they were about the Sandy bill. Many urged lawmakers to vote against it. For example, the Tea Party-inspired Freedom Works and the conservative Heritage Action both took positions against the last year's disaster bill. Members of Congress who voted for it received a negative mark in each organization's annual "scorecard." DeSantis' scorecard took the hit. "Federal relief to victims of hurricanes is warranted," Heritage Action said of the $36.5 billion package, "but Congress must act in a fiscally responsible manner by offsetting funding that is not truly 'emergency' in nature." DeSantis has broken from House conservatives on another issue closely watched by Floridians: the National Flood Insurance Program. The program covers 5 million homeowners and business owners located in flood zones, including nearly 1.8 million in Florida. It is more than $20 billion in debt to the federal treasury. DeSantis voted against a bailout of the program in 2013 after Sandy. Later that year, he joined House conservatives in opposing a measure that would have kept insurance rates at affordable levels for most homeowners. Most of Florida's Congressional delegation voted for it, and it passed the House. But since 2016, when DeSantis briefly ran for U.S. Senate, he has typically sided with his Florida colleagues to support short term extensions of the flood insurance program despite adding to its debt. There were two exceptions. DeSantis skipped a vote to extend the program on September 8, 2017. Most Florida members of Congress did — that's when Irma was about to hit the state. He also voted against an extension this March because it was tucked into a $1.3 trillion, 2,232 page omnibus spending bill, and DeSantis opposed how it was put together. 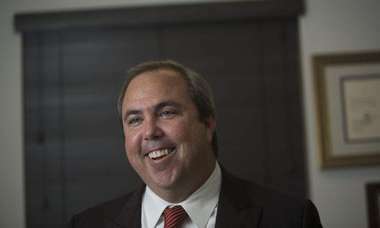 "Nobody had time to read it, much less understand it," DeSantis said. The most recent extension, signed by President Donald Trump on July 31, keeps the program alive through Nov. 30 — after the 2018 hurricane season (and the midterm elections). Though he voted for it, DeSantis says the program is in need of reform. Steve Ellis, vice president of Taxpayers for Common Sense, a budget watchdog group, said the short-term extensions are politically prudent for lawmakers who don't want to make a tough vote near election time. "Congress isn't being serious about this," Ellis said. "If past is prologues were going to be talking about this around Thanksgiving time and once again we'll hear, 'Oh my god, we need another extension.'"